Kendra Wilkinson has hit out at those who ''judge each other as moms'', and encouraged her social media followers to spread positivity instead. 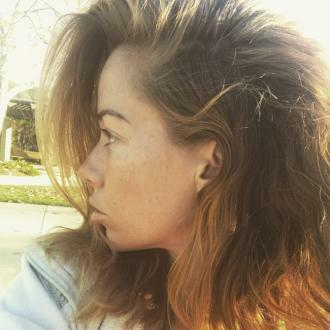 Kendra Wilkinson has hit out at those who ''judge each other as moms''. The 32-year-old reality star took to Instagram over the weekend to slam so-called ''mommy shamers'' who criticise other people's parenting techniques, as she said the only thing that matters is that her children - eight-year-old son Hank IV and three-year-old daughter Alijah - love her. She wrote: ''Anyone who says anything negative about me as a parent are only going against what my kids see in me. I don't get the hate at all. We can sit here n judge each other as moms n parents all day but what good is that doing? The 'Kendra On Top' star - who has her children with estranged husband Hank Baskett - went on to add that she's ''doing the best'' she can, and said there was no use in spreading negativity. She continued: ''We are all doing the best we can. People have different stories but that doesn't mean they are bad. It's a shame that our kids have to grow up in a world of such harsh criticism. It's only hurting our next generation n not helping. Her comments come after she previously slammed critics who shame her for her lifestyle choices without knowing the real her. In part of a lengthy caption posted in April, she wrote: ''Let me just vent for a second. I bust my a** off as a human being. I work, pay bills, take care of 2 kids and love them to the fullest plus trying to take care of myself through it all is a 24/7 job. I don't know what the f**k some of u haters think u know but you better get your heads checked because your assumptions based on pictures and clips of shows make u straight up delusional.